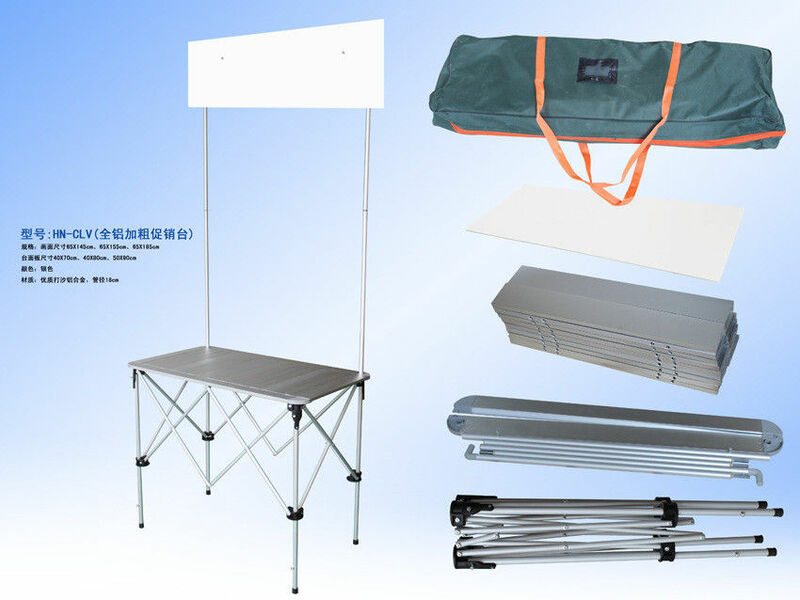 We provide high quality aluminum promotional display counter / table , it is easy to carry and install . Full color printed cover on it and top board printed sign . Each promotional table paced with fabric carry bag . The plastic connection for each part is strong than normal , it will be not easy broken . We will provide video or instruction for you to tell you how to use our promotional display counter . We packed 5 sets in each export carton . For the printed poster on the body of the counter , you just need to hang it into the hangers attached in the stand . 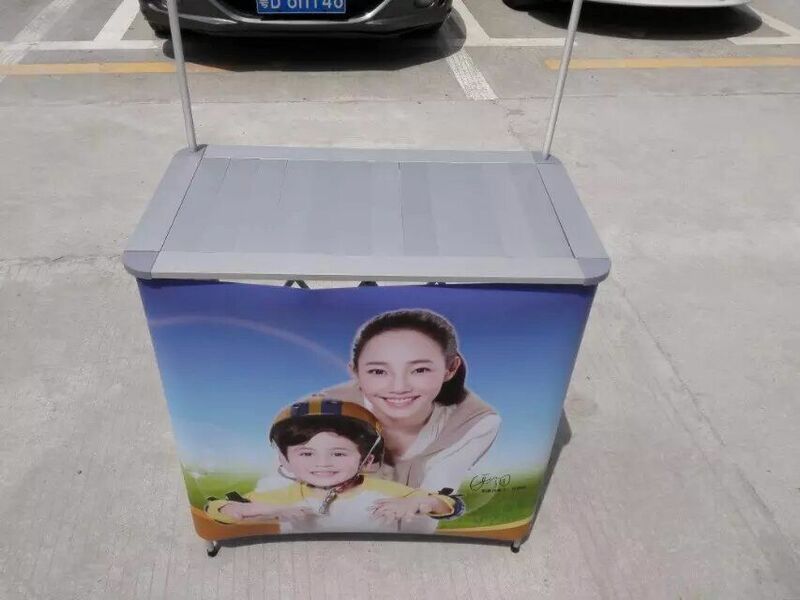 You can see our promotional table in sports , supermarket , shopping mall , stores , trade show , you can take it everywhere . And it can be used for many times as long as you keep them well when you do not need them . 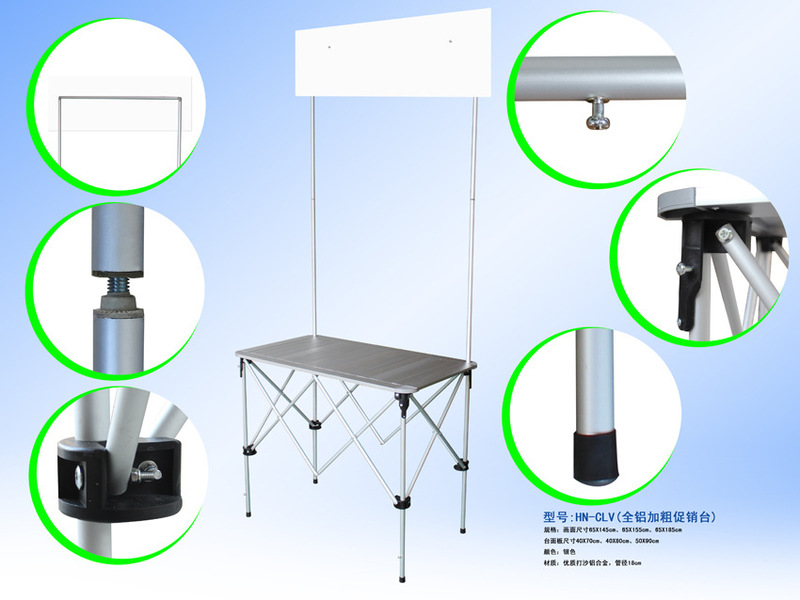 There is no min order for our aluminum promotional display counter . 1 pcs is available . The lead time is one day for sample order and we can send it out within 48 hours to worldwide . application :supermarket , anniversary , sports, promotion activity and so on! 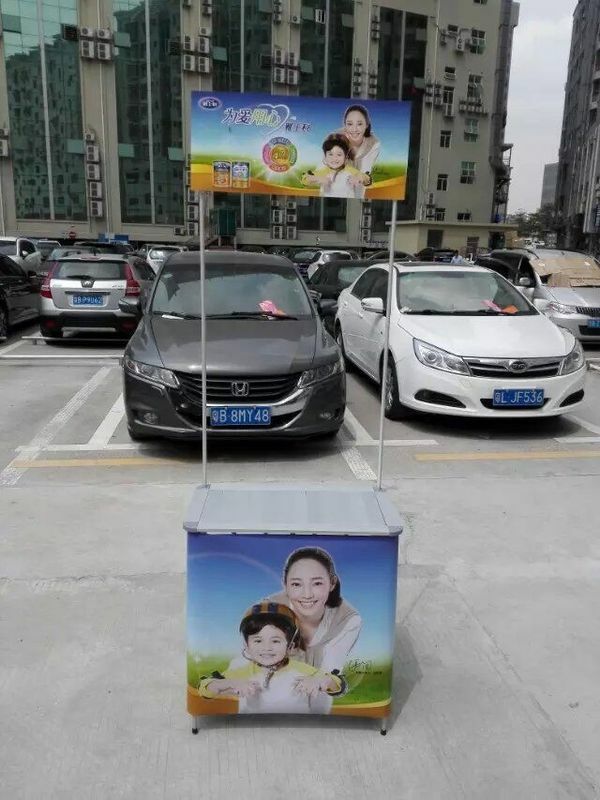 feature: light and easy to carry , durable , economic! 1. Are the graphic waterproof and uv-resistant ? ---hang the graphic into the table and the table can be breaked . ---Yes,we have a professional designing team ! ----C ,you arrange the deposit ,then we arrange the order and begin to produce ,we will send you some pictures showing the process of production and finished products and packing .Than you arrange the balance of the order . ---By international express (DHL ,TNT ,Fedex ,UPS ,we will use the best economic way to save your money) ,if the goods is many and heavy ,we suggest to use ship . 10. How many colors can you print ? 11. How to send the very large file to print ? ---To use "yousendit " or "dropbox " or "wetransfer" or online. Looking for ideal Promotional Display Counter Manufacturer & supplier ? We have a wide selection at great prices to help you get creative. All the Aluminum Promotional Display Counter are quality guaranteed. 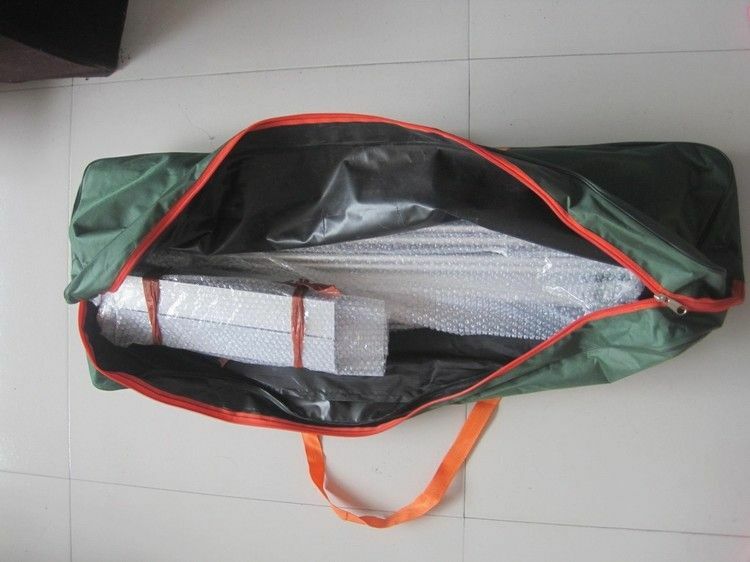 We are China Origin Factory of Display Counter with Carry Bag. If you have any question, please feel free to contact us.